As of 11:00 a.m. EST today, the price of Cannabis Sativa Inc. (OTCMKTS: CBDS) was down 26.08%, and the price of GrowGeneration Corp. (OTCMKTS: GRWG) was down 24.71%, just to name a few. But even with CBDS down over 25% today, the CBD stock price has still climbed 29% over the past year. You see, all marijuana use is illegal under federal law. 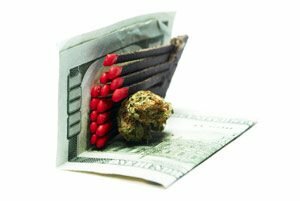 The federal government has simply avoided spending money enforcing the law in states that legalized cannabis. A DOJ memo addressing the issue in 2013, known as the "Cole Memo," called for federal prosecutors to take a hands-off approach on cannabis regulation. If a state legalized medical cannabis, U.S. attorneys were to deprioritize prosecution of cannabis-related cases, according to TheHill.com. Sessions' announcement today will rescind that policy. But it's not clear if Sessions will provide new guidance or simply allow U.S. attorneys to choose how to enforce federal law on their own. The sudden change to federal policy has marijuana investors nervous – especially those hoping to profit from cannabis legalization, like California's. And it's easy to panic after seeing an investment drop more than 20% in a day. Sessions might be trying to fight legal marijuana, but his announcement is too little and too late. Right now, 29 states and the District of Columbia have legalized some form of medical marijuana. Also, the biggest state in our country by population, California, just legalized all cannabis use on Jan. 1, 2018. BREAKING: New Legislation Could Turn Tiny Pot Stocks into Millions. Click Here. With 58% of U.S. states legalizing medical marijuana and eight states legalizing both medical and recreational cannabis, the industry is too big to stop. Cannabis legalization is more than just a trend, and the attorney general isn't going to reverse it. But there are going to be price drops in pot stocks, like today's, because there is still uncertainty around this new industry. For savvy investors, now is the perfect buying opportunity. 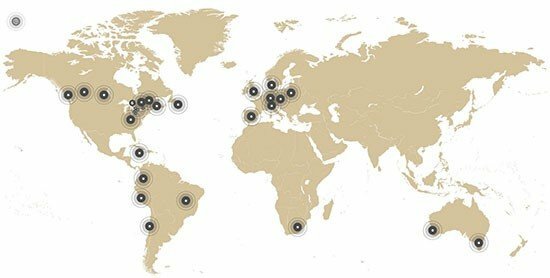 It's a way to own cannabis stocks at a discounted price. It's no longer a matter of if medical marijuana will be legalized in all U.S. states, it's just a matter of when. 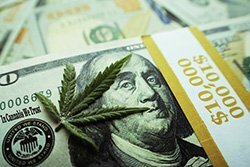 Just like we have been, we will keep Money Morning readers up to date on all the DOJ marijuana news and what it means for your investments through our free Profit Alerts service. Between you and Keith Fitzgerald teaching how to trade logically instead of emotionally, I did not panic because I knew ahead of time how much I was willing to loose and had tightened my stops before Opening Bell. Also, I had rememberedwhat Shah had said, keep your stops tight and you can always re-buy the stock, so every morning around 4:00am I make sure that my stops are in place to take profits should we have a fall like today. I lost 4% and 3/4 of my portfolio is cannabis. I now have plenty in my account to re-buy. Again I must thank all at money map press…I knew all of you would help me get to where I need to be. There is so much fear and paranoia about Cannabis as people are very ignorant and uneducated about this plant. Too bad the "powers to be" can't seem to educate themselves about the REAL benefits of this plant – from medicinal uses to skin products, clothing, building products, food, etc. We truly have our priorities screwed up when we allow Big Pharma to put out catastrophic drugs that addict people, make them dependent on various drugs and continually prescribe life threatening drugs with outrageous side affects. Shame on us for depriving millions of people from using a natural cure and relief for many diseases. People need to get themselves educated!! Be patient, no worries. The states are taking control. As an investor one should expect the unexpected???? What's your take on why this isn't shutting Sessions down ?